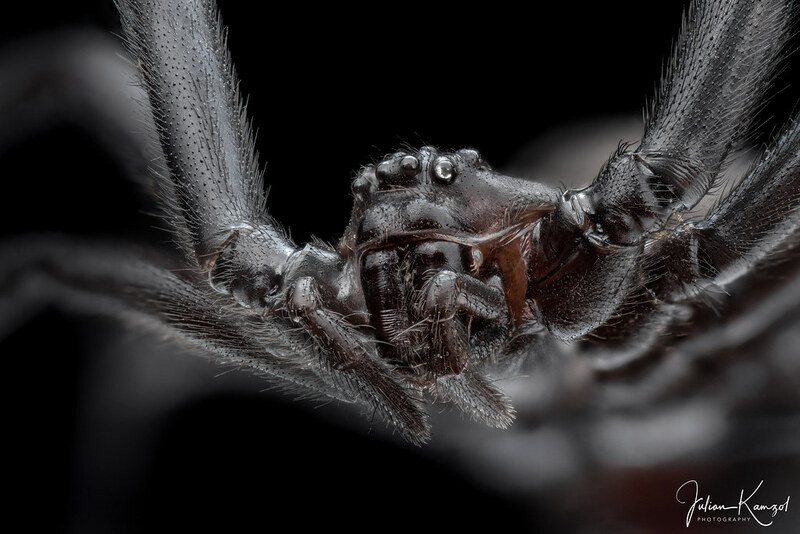 www.photomacrography.net :: View topic - Latrodectus mactans "Black Widow"
Posted: Mon Aug 20, 2018 12:20 pm Post subject: Latrodectus mactans "Black Widow"
I received this black widow (0.1 Latrodectus mactans) a couple months ago, she came here with a car import from the US and I adopted her. I had this exact image in mind for a couple days but getting it wasn’t that easy. Wow! A spectacularly well done photo! Here we have one of the bigger juveniles from my black widow's offspring. 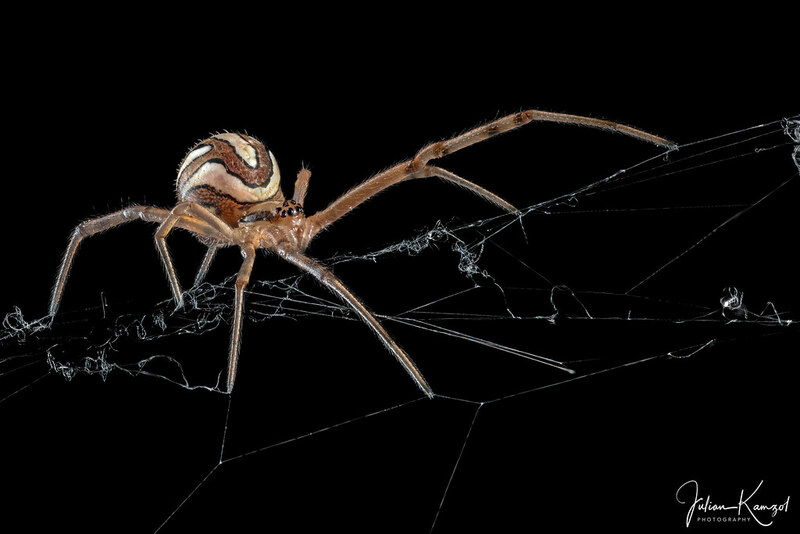 Juvenile widows are brighter colored, with streaks and marks. 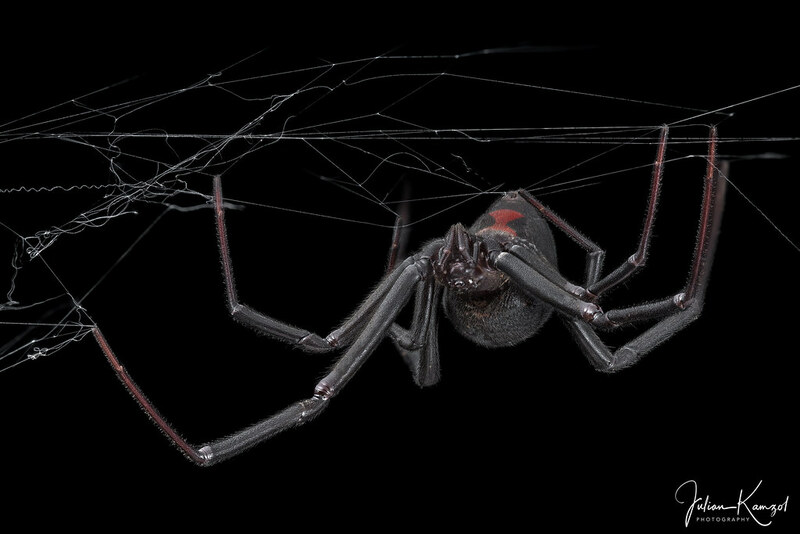 The little widow on the image has a body length of around 1 cm with legs. Around 5h total for this image. But you did turn this upside-down. Right?